Every year, the high and mighty meet in the Swiss ski resort by invitation of the World Economic Forum for its Annual Meeting. This year, they discuss “Globalisation 4.0: Shaping a Global Architecture in the Age of the Fourth Industrial Revolution”. A worthy topic, but will Davos give global governance more momentum? What is going to happen at the World Economic Forum 2019 in Davos ? The World Economic Forum’s (WEF) Annual Meeting is going to take place next week in Davos. This is a yearly event that attracts not only heads of states and other politicians but also CEOs, industrialists and leaders of civil society organisations. It is often described as an informal venue where important issues can be discussed between key stakeholders of global society, conveniently brought together in a small location. 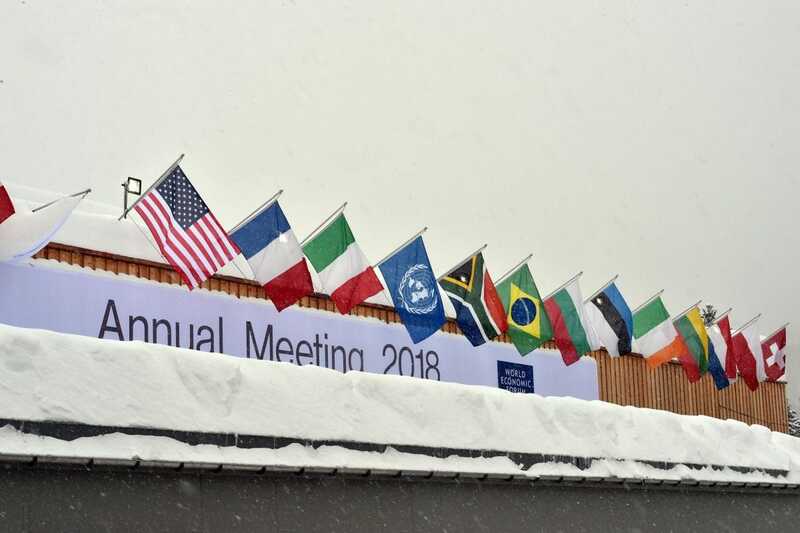 For the same reason, the Davos meeting has also been subject of criticism from a wide range of observers, from anti-globalisation activists to conspiracy theorists. Or it has been criticised as a massive ego-show without any tangible outcomes. Feel free to take a look at our Globalisation Report 2018: Who benefits most from Globalization? Global governance is in crisis: In many countries of the world, claims to “take back control” from “global forces” are strong. Yet some kind of global coordination is necessary to solve the big problems that humankind is facing. How could such an improved global architecture look like? The WEF calls for no less than “forging a new social compact between citizens and their leaders”. Fourth Industrial Revolution: The rapid technological change presents a large number of challenges in itself. Networked production enables a large degree of automation, the use of artificial intelligence and the emergence of new and different production chains. With these opportunities come a large range of challenges from rising inequality to ethical concerns. Why would the World Economic Forum 2019 make a difference? Most people would certainly agree that two important discussion strands have been forwarded by the WEF. But why would discussing them make a difference? Is this just going to be talking shop or might there actually be consequences? Of course, it is hard to make predictions. But there are reasons to expect that this time, Davos could actually generate some positive momentum. Already last year, concerns about the future of global trade have been an important topic at Davos. Worries about the global governance of trade are again an important point in the age of trade wars. However, since last year the international trade policy discussion has gained momentum. At the G20 Summit, leaders have called for a reform of the WTO and called for a review of reform progress in mid-2019. Many of the major trading nations have tabled reform proposals for the WTO. The policy world is a slow-paced ship but it is starting to set sails. Historically, international discussions on trade policy have been more successful when businesses exerted pressure on their domestic governments. If the business community, which is always well represented at Davos, began again to take an interest in the global trading system, this can make a substantial difference to future policy debates in this area. In fact, businesses reticence to invest themselves in trade policy discussions is a partial explanation for their government neglecting multilateral trade discussions since the failing of the Doha Development Round. Davos could be just the place to facilitate the building of such an alliance. This also applies not only to international trade governance but also to rules for the networked economy. International data driven business models are becoming increasingly important and so does the need to provide a sensible international framework of rules for them to operate. Again, important international policy discussions have begun, for example with the plurilateral e-commerce initiative at the WTO, and a larger implication of the business community could help to move talks forward. Visit our blog to get weekly insights on globalization, trade and the global economy at https://www.ged-project.de.